In this text, you will find out how to download Dropbox photos to iPhone and start sharing, editing and printing your Dropbox photos. Dropbox is a perfect app for iPhone users who have a lot of storage documents. 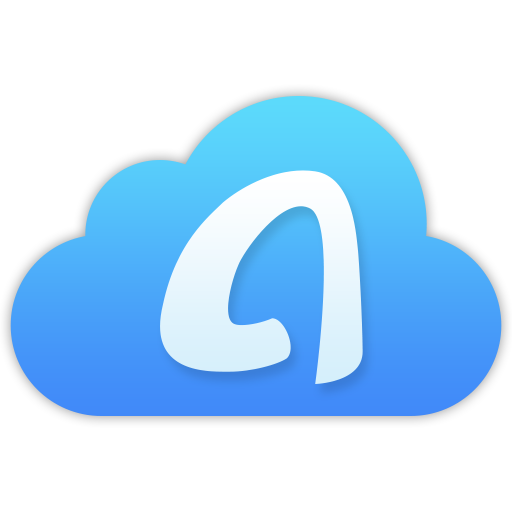 Dropbox application serves as an adaptable place to store your photos, videos, and files in a secure way. It is a modern workspace which helps you in organizing your files together. With this app, you can centralize your documents in one place and access them any time. Dropbox is also safe and synced with all your devices. With few clicks you can find your files, work on presentations, designs and other file types. You can also collaborate new ideas on Dropbox paper in form of sound, video or photo. Dropbox is a place both for freelancers and teams. It offers a lot of options and you should take advantage of some of them. Most of the users are not very familiar with moving back Dropbox photos to iPhone. The same is applicable for iPad users, who also need some guidance on this action. That’s why we have summarized the best way to download photos from Dropbox to iPhone or iPad. Now, we should explain download Dropbox photos to phone process. In several steps, you will finish the transmission and get the best result you can. Step 1Run Dropbox on your iPhone or iPad. 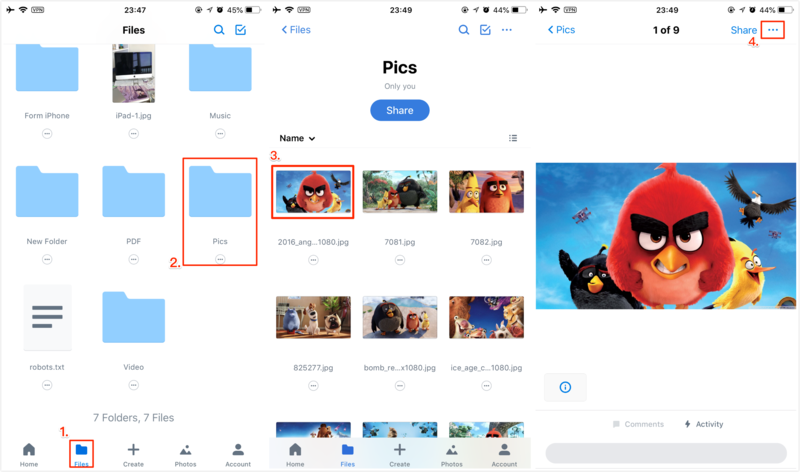 Step 2Tap on Files category to view your Dropbox photos > Select the picture or the folder with photos you want to download from Dropbox > Tap on this picture to view it > Tap on the Apostrophe to load more options for managing this picture. For example, in this guide, I choose to download photos from a folder named Pics and select a photo from this folder, view this picture and then click Apostrophe button. Step 3Select Export > Select Save Image > Then this pictures will be saved on your iPhone or iPad’s Photos App. When viewing the selected photos, you can also tap and hold on it and select “Save to Camera Roll” to export it to your iPhone. 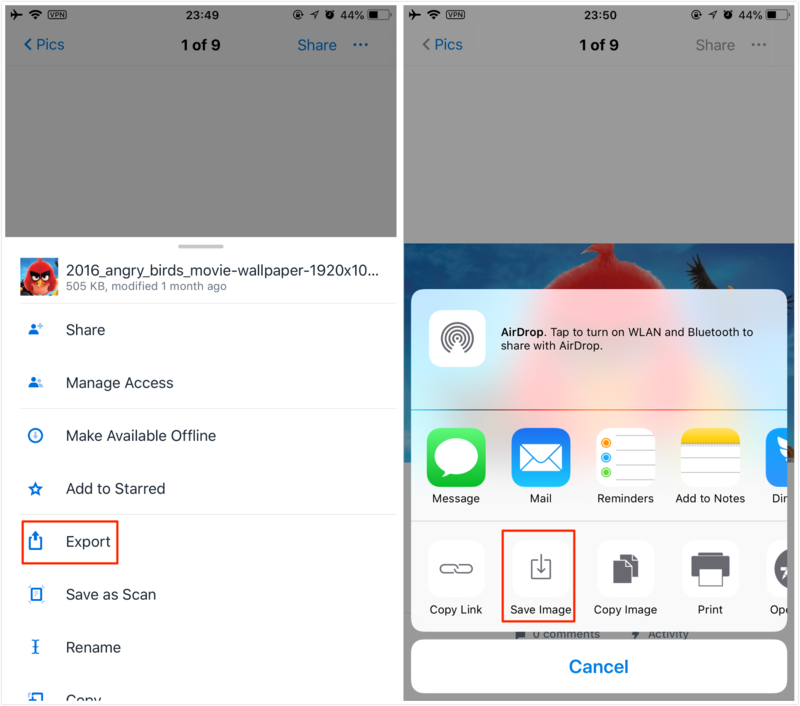 If you want to download multiple or all photos from Dropbox to iPhone iPad, you need to make it with Dropbox’s web page or its desktop app. Because Dropbox’s mobile App doesn’t support exporting multiple photos at once, you have to save them one by one. 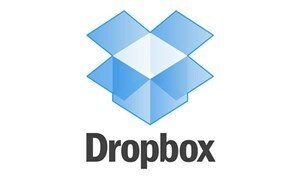 Therefore, next we will show you how to download multiple or all photos from Dropbox with Dropbox website. Step 1Log in on Dropbox’s official website with your account and password. Step 2Click Files in Homepage > Select the folder with photos you want to download. For me, I placed photos in a folder named Pics. Step 3Click the selected folder to view these pictures > Select the photos you want to download > Click Download button to export all of them to your computer. It will be saved as a Zip file, you need to uncompress it to a folder with downloaded photos. 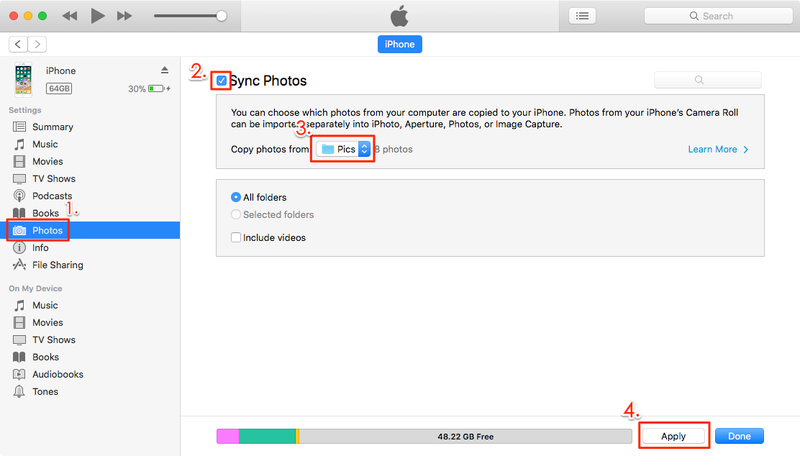 Step 4Sync the downloaded photos to your iPhone with iTunes by these steps: Connect your iPhone to computer > Run iTunes > Click Photos tab > Check Sync Photos > Select the folder with the photos downloaded from Dropbox > Click Apply to sync photos from Dropbox to iPhone. Some files are not downloadable to iOS gadgets. In this case, you will not be able to transfer some documents from Dropbox to iPhone or iPad device. When it happens, you will get the message stating that your device doesn’t support the file format. Some of these formats are Ex or MOV video files. As you can see, from Dropbox to iPhone/iPad photos can be a really challenging process. With some simple but significant steps, you are able to manage your photos from Dropbox app and enjoy the total performance. Make sure you follow the previous steps and you will get things done in a moment.